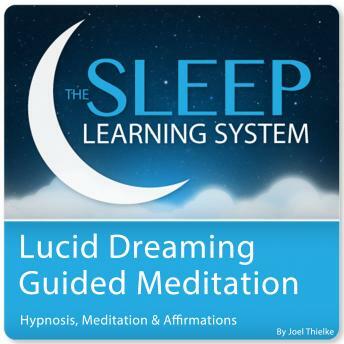 Learn how to control your dreams and experience lucid dreaming with this guided meditation script from certified hypnotherapist, Joel Thielke. You can use the power of guided meditation to actually help you learn and retain change while you sleep! This specially formatted guided meditation program is in a script format that can be used in several ways. You may use it as a resource or reference. This is also a helpful tool for if you're interested in recording a hypnosis session for personal use only. You can tailor the script as you go based on what works for you personally. Sleep learning takes place when your mind is at rest and the subconscious is open to positive suggestions. It's an easy way of both learning and breaking bad habits while you sleep through the night. You can train yourself how to control and manipulate your dreams. Train your brain while you sleep, and experience lucid dreaming today.